You only get one chance to make a first impression. For most medical practices, the initial point of contact is a patient’s first phone call, so it’s crucial to make sure your reception desk is ready to from potential patients as sales opportunities. The data supports the merits of human reception staff, too: our own research suggests that 71% of patients hang up the phone when they encounter a computerized phone system (and 82% of those patients never call back). It shouldn’t take much number-crunching to realize the lost potential revenue that numbers like these represent. According to Press Ganey’s 2010 Medical Practice Patient Satisfaction Pulse Report, “patients continue to voice frustrations over the ease of scheduling appointments, the helpfulness of telephone staff and the promptness in return calls.” Put simply, even if you’re investing heavily in digital marketing and driving heaps of traffic to your practice’s website, if your staff doesn’t know how to properly field their phone calls when it comes time to book an appointment you’re probably not going to see a very high rate of conversion. First and foremost, one of the best ways to improve the prospective patient experience is allowing them to avoid the phone call altogether. Make sure your website is optimized and up-to-date with as much information as possible — that means your business hours, directions, services lines, and basic information about specific conditions and treatment options. That said, even the most digitally advanced practices will still receive plenty of callers, and your staff will need to be ready to welcome their questions with a friendly attitude and a solid knowledge of your practice’s offerings. Most practices tend to receive a similar set of questions from first-time callers: “Do you accept this insurance? Do you offer X or Y procedure? What are your normal business hours?” You can make your receptionist’s job easier (and improve the experience of first-time callers) by furnishing them with a list of ideal answers to frequently asked questions. Your reception script might also include some branding information, i.e. a few brief points which differentiate your practice from its competitors. On a more basic level, practices should make sure they have an adequate number of receptionists on staff so that no caller is forced to wait too long to connect with a live person. While adding the additional support may lead to a larger payroll, the benefits in new patient revenue can more than make up for the staffing costs. Perhaps most important of all is the need for receptionists to remain friendly and confident throughout the day, since any first-time caller will likely be judging your practice based on their interaction with the person who picks up the phone. If there’s any sense of indifference, frustration, or rudeness on the other line, that potential patient will likely be taking their business elsewhere. 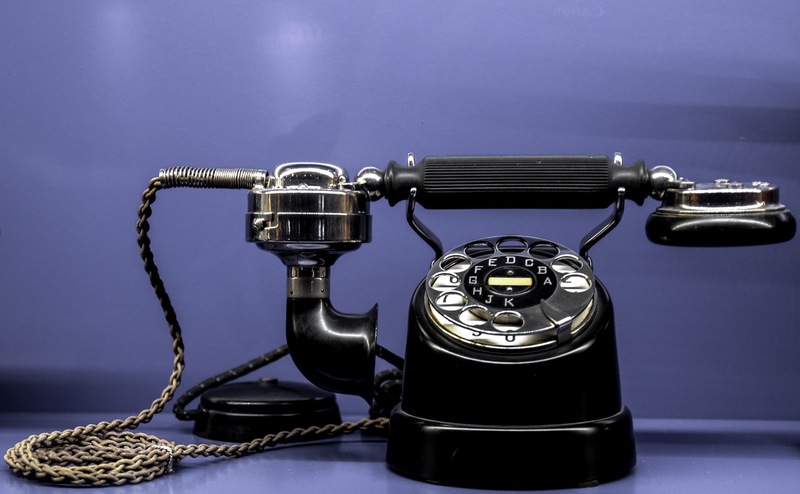 Don’t Let Potential New Business Hang Up the Phone! Many receptionists tell patients to call back after obtaining necessary information, but letting them off the line dramatically reduces the overall chance of conversion. Even if you’re worried that booking prematurely might result in a missed appointment, it’s always better to do so anyway — the potential revenue gain can far outweigh the potential loss. Whenever possible, receptionists should consult a physician to gather information before hanging up on a potential patient. If a patient pushes for an extensive dialogue regarding treatment options, it’s best to schedule an in-person consultation rather than leaving them in the dark or telling them to call back another time. Remember that reception is an integral part of a practice’s ability to be successful, and should be approached with the same consideration and effort as any other component of your patient acquisition and retention strategy. It’s always a good idea to set concrete goals and measures of success: how long are your calls on average? What’s the average hold time for your practice? How many calls turn into new appointments? Try to collect feedback and data whenever possible in order to improve outcomes — for example, try recording calls in order to assess the patient experience and see what can be improved, or periodically reach out to new and existing patients with short surveys in order to gauge the level of satisfaction. At the end of the day, public perception of your practice is something you can control, and that perception begins at your reception desk. By ensuring that your front-of-office staff is engaging, polite, and well-prepared for any situation, it’s safe to assume you’ll see a noticeable uptick in patient satisfaction — and in your revenue stream.